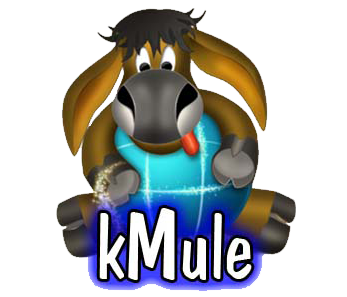 The "all-platform eMule", it is a eMule-like client for ed2k network. It was forked from xMule project back in september 2003 to drive it to a brand new direction and quality. Uses wxWidgets for multiplatform support. aMule works on Linux, Mac, FreeBSD, OpenBSD, NetBSD, Solaris, Windows, and probably other OSs that noone tested yet. aMule works on x86, amd64, ppc, ppc64, sparc, alpha, and AFAIK arm (probably others also) CPU architectures. aMule has core/GUI separation, a mature daemon, and a not-so-mature-but-still-working remote GUI, along with the webserver and the text-mode user interface (amulecmd). aMule has the latest improvements on ed2k protocol, both on eserver compatibility (thanks lugdunum) and client<->client communication (thanks eMule dev. team). This includes eMule extensions over original ed2k protocol. aMule supports all wxWidgets flavours from 2.4.2 to the brand new 2.6.0. The recomended version is, however, wxWidgets 2.6.0. And last but not least, aMule has the best users and supporters community I've ever seen. I said it and I'll say it again: without you guys, this project would have never reached its current state.